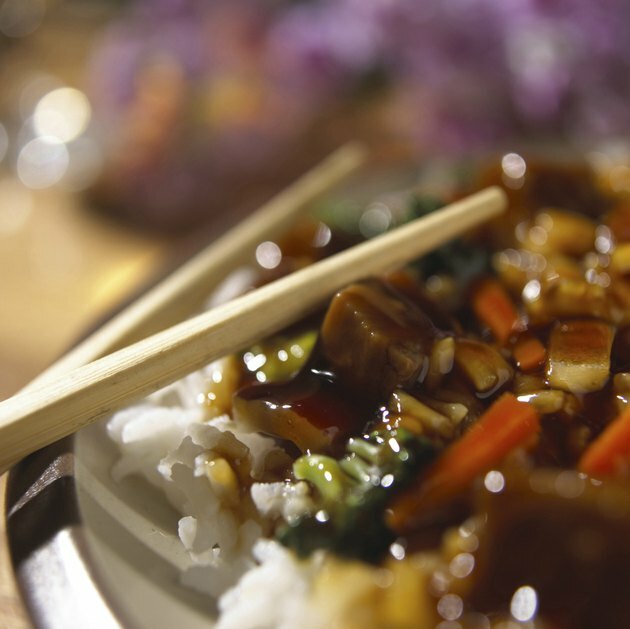 Chinese teriyaki beef sticks can vary in calories depending on how they are prepared and what ingredients are used. For example, sticks that are fried will have more calories than baked or broiled varieties. A serving of teriyaki beef is considered one stick. Each stick contains about 110 calories. Every Chinese teriyaki beef stick has 9 g of fat, 25 mg of cholesterol and 460 mg of sodium. The American Heart Association advises adults to limit themselves to 1,500 mg of sodium or less each day. One teriyaki beef stick is almost a third of that allowance.